Cancún, Q. Roo (April 2016) Hacienda Tres Ríos Resort, Spa & Nature Park in the Riviera Maya, acknowledged worldwide for its eco-friendly practices, was nominated this years for the prestigious World Travel Awards as one of the best resorts in six different categories for Mexico and Central America, thus it is extending an invitation to participate in the voting process to select the winners which will end on May 6th. The eco-tourism resort, a property of Sunset World Resort & Vacation Experiences, has been selected once more to be in the running for these awards, considered the “Oscars” of the travel and tourism industry, in the categories of Best Family Resort and Best All Inclusive Resort in Mexico and as Leading Natural Reserve, Leading All Inclusive Resort, Leading Family Resort and Leading Green Hotel for Mexico and Central America. 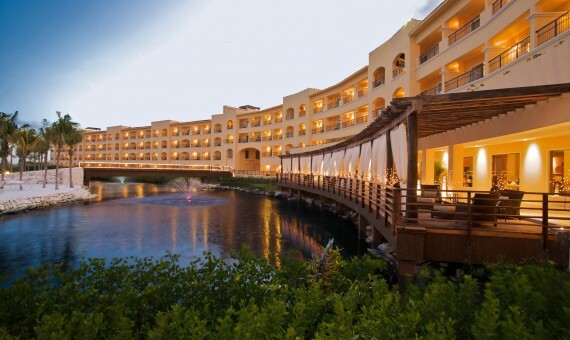 The exclusive Resort won three of this very prestigious awards in 2009 as Mexico’s Leading All-Inclusive Resort, Mexico’s Leading Green Hotel and Mexico and Central America’s Leading All-Inclusive and since then has been nominated in multiple occasions among the best hotels in the region due to its innovative ecological practices, attractive facilities for families and world-class services. In order to participate in the voting process which began on March 7th, voters need to go into the web page http://www.worldtravelawards.com/vote, register and enter the voting system creating and account and clicking on SUBMIT. Then confirm the email when they receive the confirmation email as without this, their vote will not count. Finally they must select the Central America region and vote for Hacienda Tres Ríos in the following categories: Mexico & Central America´s Leading All Inclusive Resort, Mexico & Central America´s Leading Family Resort, Mexico & Central America´s Leading Green Hotel, Mexico & Central America´s Leading Nature Reserve, Mexico´s Leading All-Inclusive Resort y Mexico´s Leading Family Resort.